A dumpster rental allows you to get rid of a lot of junk all at once. The key is picking the right size dumpster. You won’t be able to have any overflow with the dumpster. That is why you might consider renting the next size up then the one you think might work. Even if you have enough room for all the stuff you’ve targeted for removal, you’ll have left over room for all the odds and ends. 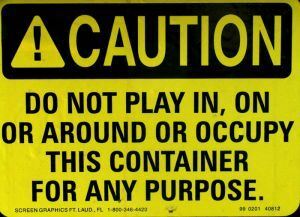 A dumpster will be delivered to your property and picked up when full by a very capable crew. The drawback is that you have to have room for that dumpster. A small unit can be placed in your driveway. The bigger units might have to go on the street. That could mean pulling permits from the city. You also have to consider the rental period. Most dumpster rental companies require a minimum three-day rental. Will you be comfortable having a dumpster on your property for that long? When you hire Junk King for your junk pick up, then you’ll be getting everything cleared out in a single appointment. You also won’t have to do any of the actual labor. The Junk King crew will remove your items from their spot and load it all onto their truck. A junk pick up from Junk King is also safe. All your rubbish will be removed and there won’t be a temptation for anyone to pick through it like they would in a dumpster. You don’t have to worry about overloading Junk King. There are not weight restrictions on your junk removal. You’ll be charged a flat fee based on volume not pounds. Finally, Junk King is not going to disrupt your neighbors by blocking the street for several days. With a junk pick up from Junk King, your rubbish is gone in a flash. This entry was posted in Dumpster Rentals vs. Junk Pick Up In Albany and tagged Dumpster Rentals vs. Junk Pick Up In Albany, Junk King, junk pick up on April 29, 2014 by Todd Porter. Last updated August 1, 2017 . How will you be celebrating this year’s Earth Day? Many folks dedicate that day to thinking about the earth by cleaning up beaches, engaging in recycling projects or simply taking in the great outdoors. The hope is that a little attention on Earth Day will last all year long. It’s kind of like being nice at Christmas. Beyond the weekly recycling, there are a few other actions you could take to help reduce your carbon footprint. For instance, if you want to warm up or defrost food you should be using the microwave. That process takes up half as much energy as using the stove. Switching from taking a bath to taking a shower can save fifty gallons of water. If you recycle at least one soda can, you’re saving enough energy to keep your TV running for three hours. Yes, when it comes to helping the planet, it is the little things that matter. You can also celebrate Earth Day by engaging in a little green junk removal with help from Junk King Albany. These are the professional junk removal experts who make every day Earth Day. From their inception, Junk King has been dedicated to reducing carbon footprints of all of their customers. Best of all, those customers don’t even have to ask for that service. It’s all included in the standard junk removal package. The result has been a companywide diversion rate of 60%. “Diversion” means keeping junk out of landfills and that’s a goal we should all be striving for. The way Junk King achieves this rate is by training their crews to sort junk. They know what pieces can be dropped off at a recycling center or which items can be donated to a charity. When Junk King handles recycling, they cover specialized items like wood, scrap metal, concrete, foam and e-waste. All of those materials would be recycled at different centers then your soda cans and cardboard. This might mean a few extra drop off appointments but you’re not going to be charged anything extra! As for the charity donations, the Junk King crew can spot a piece of furniture or appliance that might have a little life left in it. Those would make for perfect donations to a charity that specializes in refurbishing. In no time, you old couch or stove could be helping a family in need. When it comes to going green for Earth Day or any day, a Junk King junk removal appointment is the only call to make. This entry was posted in Uncategorized and tagged Celebrate Earth Day In Albany With Green Junk Removal on April 18, 2014 by Todd Porter. Last updated August 1, 2017 .